For a photographer, the number of great places to take pictures in Toronto can be simply staggering. This city has a vibrant culture with a great blend of modern and historic locations. 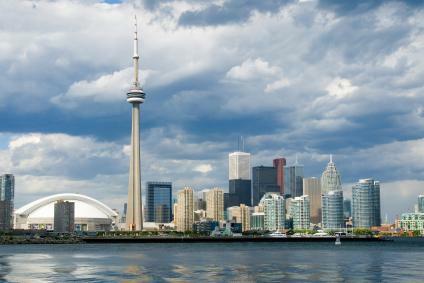 Few cities are able to offer the blend of sweeping skyline vistas and quaint local attractions that Toronto boasts. Photographing in Toronto can be overwhelming due to the sheer number of opportunities, so here are some suggestions on sights which you may have missed. Toronto boasts everything from serene wilderness to urban chaos. This offers any number of picture opportunities for a wandering photographer, encompassing an enormous number of photography styles. The CN Tower is an easily recognizable landmark which has been nominated as one of the Seven Wonders of the Modern World. Including this 1,815 foot tower in your landscape or panoramic photograph of Toronto makes the photograph's location instantly recognizable. If you are brave enough to scale the heights, the observation decks of the CN tower are great places to take pictures in Toronto, whether you are posing in front of the vista or simply looking to commemorate the view. St. Lawrence Market has been functioning as a market square since the 19th century and is a great place to take pictures. This area includes Toronto's original City Hall and over 120 vendors. 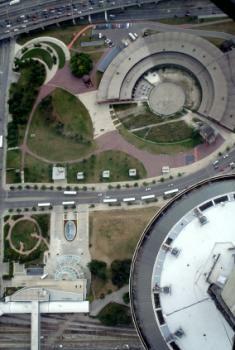 The Market is divided into two areas, the Market North and the Market South. Inside, the Market Gallery hosts a number of exhibitions each year. The combination of colorful, premium wares and bustling market life make this an ideal location for taking pictures. 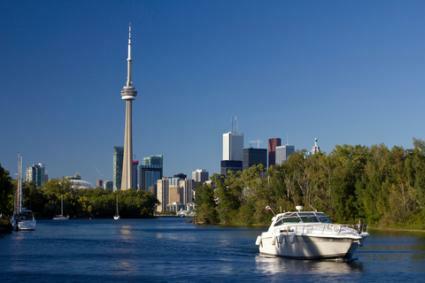 This waterfront area of the city of Toronto is full of lakeside beauty. At the center of the waterfront area, Harbourfront Centre is a complex consisting of several buildings where a number of programs are presented each year. Beyond this fantastic photo opportunity is shopping, lakeside boardwalks and a marina. A boat tour of the Toronto waterfront presents an excellent picture opportunity and will allow you to appreciate Toronto from a new perspective. The Toronto Islands offer spectacular panoramic views of the city of Toronto and are accessible by a short, 10 minute boat ride. These islands include miles of beaches and beautiful parkland as an ideal setting for pictures. Visit Centre Island for the best, unspoiled views of the city of Toronto as well as an amusement park, boat rides and more. The Old City of Toronto is the original foundations of the megacity which Toronto has become. 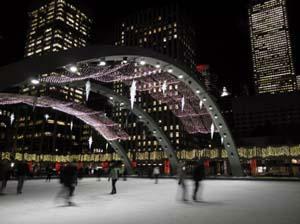 This area is also the heart of downtown Toronto and sports some magnificent architecture and a view of busy city life. The Old City of Toronto is an excellent location for urban photography. It is visible from the CN tower and can be photographed from the observation decks for a spectacular image, particularly at night. 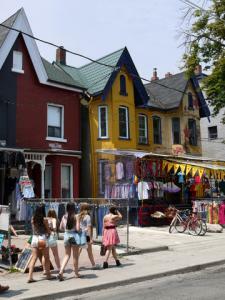 Kensington Market is a culturally diverse district in Toronto full of eclectic shops and twisting, narrow streets best navigated on foot. This district borders Toronto's Chinatown and has cultural roots in Jewish, Caribbean and East Asian cultures. The diversity of this area is what makes it a great place to take pictures. The city of Toronto boasts some truly fabulous opportunities for photographers, and with some careful planning it is possible to get a wide range of locations into a single day. Locations such as the Waterfront and Toronto Islands may be weather permitting, so plan your visit to these areas around fair weather.